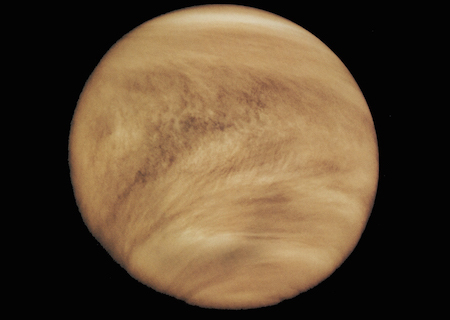 Venus is the second planet from the Sun, and most similar to Earth in size, composition, mass, density, and gravity. That is where the similarities end, however, because Venus is the hottest planet in the solar system. Its dense atmosphere traps the Sun’s heat, creating a runaway greenhouse effect. Temperatures on Venus reach 870 degrees Fahrenheit, hot enough to melt led!